Model and jewelry designer in all black leather look while out and about on the street. Harajuku pink-haired girl in kawaii fashion with t-shirt, mesh dress, bubble skirt, rainbow socks, platform creepers, pink tote bag and decora accessories. Japanese fashion student wearing a red and black outfit with platform boots near Bunka Fashion College in Tokyo. 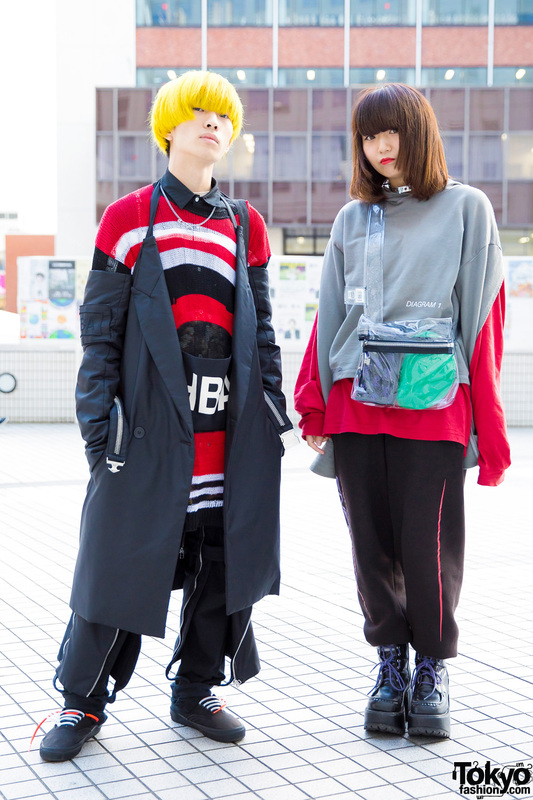 Harajuku girls in eclectic winter fashion styles with sweater over black hoodie, denim pants tucked into boots, bomber jacket over resale shirts, belt bags and boots. Harajuku art school student in purple kimono coat, satin pants, platform shoes and kawaii colorful accessories. 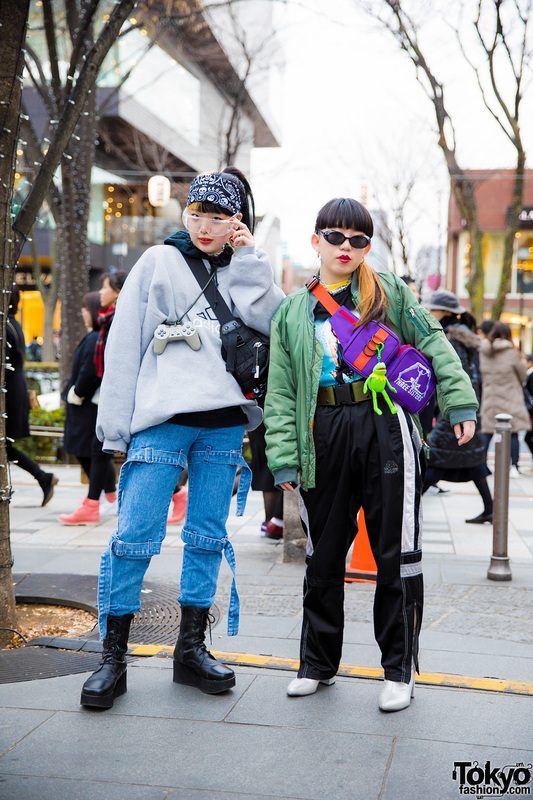 Japanese teens wearing dark streetwear looks while out and about in Harajuku. 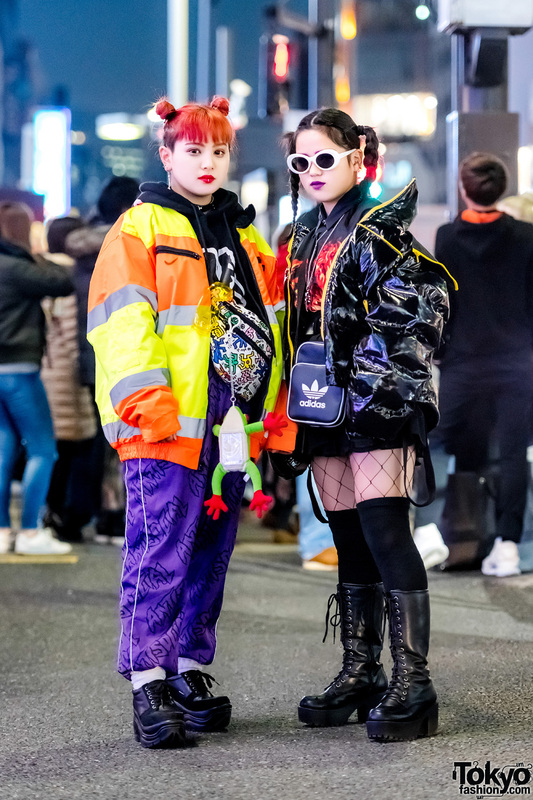 Japanese beauty school students wearing winter street styles with faux fur jacket over mesh top, black pants, platform sneakers and tote bag; yellow jacket over sleeveless top, suspenders, track pants, leopard print sling bag and heeled zipper booties. Duo in Japanese and international streetwear styles with layered tops, pants, footwear and handmade accessories. 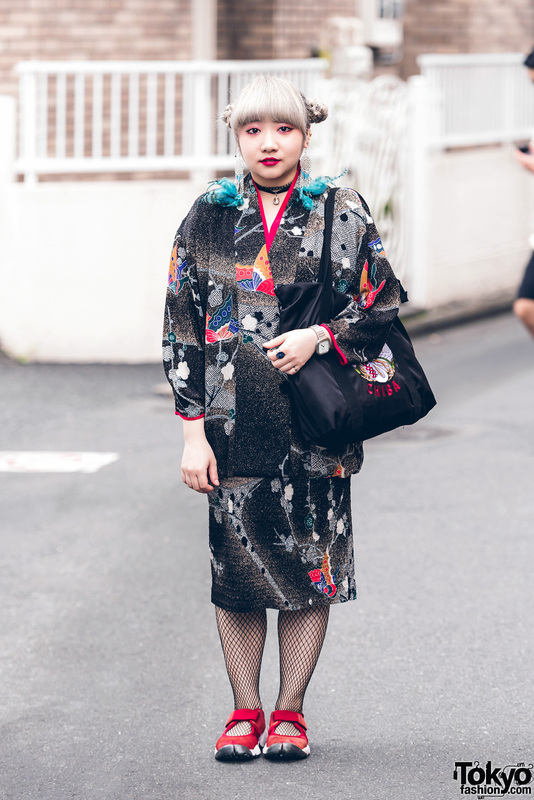 Harajuku student sporting twin buns wearing a vintage coat and matching skirt, fishnet stockings, satin bag, split toe shoes, choker necklace, feather earrings, a watch, and rings.